Have you ever wanted to make clear slime with contact solution? If you have, then this is for you. If you have never made slime before, check out our How To Make Slime Video. This article will guide you on the step by step procedure to achieve a perfect clear slime. We will also include the various ingredients you need for making this fun homemade slime. There are several kinds of slime and this is determined by the combining ingredients. As a matter of fact, the ingredients you use will determine to a great extent whether you get a clear slime, fluffy slime or any other type of slime. Using a contact lens solution is a great way to prepare clear slime.Now, let us take a step further as we walk you through everything you need to know about preparing your clear slime at home. To prepare clear slime, you will need the following ingredients. Step 1: Put the clear glue (100ml) into your mixing bowl and add about 60ml of water. Stir the mixture using your spoon until the glue mixes completely with the water. Step 2: Add the contact lens solution to the mixture. Step 3: Using a spoon stir the mixture properly until you get an even consistency and a clear solution. Make sure that all the glue bubbles disappear from the mixture. Step 4: Set the mixture aside. Take another bowl and put the baking soda in it. Step 5: Add 200ml of hot water to the baking soda and stir until the powder melts completely, giving another clear solution. Step 6: Next, allow the baking powder solution to cool off. Step 7: When the solution has cooled, gently pour in the glue mixture into the clear baking soda solution. Step 8: Using your hands, try to stir the content of the bowl gently. Step 9: Remove or drain out the baking soda solution, and leave the residue in the bowl. Step 10: Now allow the residue to air dry for a few minutes. Ta Da! Your clear slime with contact solution is ready! You can now mold and twist as you like. Perhaps you have tried to prepare a clear slime and encountered difficulty; you can finally get it right with our ten simple steps. Do not forget to use hot water with for your baking powder solution and of course, let it cool off before you add the mixture. Clear slime is a little different from other kinds of slime and so is the art. Let us know when you try out our recipe by leaving your feedback in the comments section. If you know of other recipes, feel free to use the comments section too. So what are you waiting for, go make some clear slime for the party. Thanks for sharing! Just one think tho, on your ingredient list you have Baking Soda but steps, you said baking powder, not sure which one? Thanks for the heads up. We changed it to baking soda. Thxs it helped me soooo much and I love the slime I will defiantly try the fluffy slime next!! Out alime cMe out perfect! !we added pink food coloring to the glue bowl right before we mixed into the baking soda mixture. 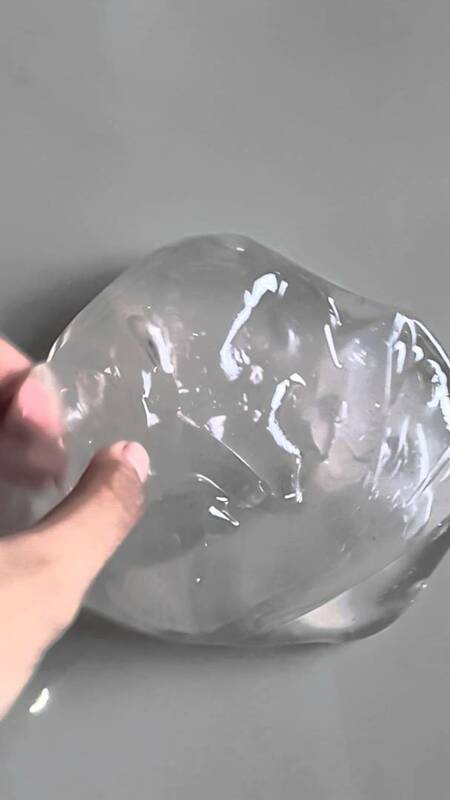 When I finished making the clear slime I then put it in a bowl to get out all of the air bubbles , but it get all watery and about to days later I checked on it and it seems like all the water came out of the slime and is now floating on the top and the slime is not stretchy at all. I don’t know what I did wrong. Maybe try less baking soda. Also, try dissolving the baking soda in the warm water first before adding it. Did you follow the directions exactly? With the ingredients? Other people have told us it worked fine. Including when we did it. Landry, really? That’s really mature of you. It worked for us every time we made it. I forgot to put the water in with the glue, but it seemed ok. Then in the morning it was not stretchy at all. Would adding water help? Add more water is fine. It worked pretty good! But does seem a little stiff? What do you think we did wrong? My daughter Wouk like it a little more stretchy without snapping apart. Thanks for sharing! Try adding the baking soda and water mixer a little at a time. Don’t add the whole cup at once and you might not need to add the whole cup at once. We made glitter slime and it turned out. This seems like too much liquid. We measured everything very carefully and followed the directions closely. It isn’t as thick as karo syrup more like a BBQ sauce consistency. Going to let it set longer to see if the slime sinks to the bottom so the excess baking soda water can be poured off. So far disappointed. Did you try our recipe? 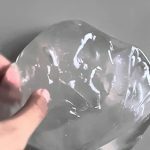 https://toydivas.com/2017/08/21/how-to-make-glitter-slime-with-liquid-starch/ I ask because you commented on our clear slime recipe. I tried twice, using a kitchen scale for exact measurements. I keep getting w watery mixture that never produces slime. We have started making this mixture yet and already I am confused. First, you refer to baking soda; then refer to powder in the same sentence. Next it finally is now baking powder and then we are going to allow this baking powder to cool off. Now, it is back to baking soda – which is it?? I am hoping it is indeed baking soda cause that is what we are using. Sorry, I see where Sandra had already addressed this issue of confusion between baking soda vs baking powder. My bad – I didn’t read any of the comments before we just plunged right in. I tried it and I am waiting a few minutes. It seemed like it worked but I don’t know for sure. Do I add more ingredients? Clear slime you need to wait a day or two for the air bubbles to disappear. My slime didn’t work it got soggy from the gel. I think it was my baking soda becuas eit was different kind what other ingridients could i add instead of baking soda?? Thanks for the tips guys I didn’t try it yet but trust me I will!!!!!!! Thank you so much! Slime making is fun.